Would you let this man pick the next song on your playlist? Beats co-founder Jimmy Iovine has revealed some more details of the Daisy music streaming service from the people behind the high-end headphones. And if he has his way, him and his music industry cronies will be telling you what to listen to next. Speaking to Walt Mossberg at the D: Dive Into Media conference, Iovine said he wants to launch a service that'll recommend songs and artists based on the listener's taste. "Everyone… really struggles to get the absolute right kind of music for where you're going," he said. "Apple knows a lot about your music taste. Google knows a lot. Facebook. But no one is using it to curate." Daisy will combine an algorithm along with human music curators to pick what you should play next - though you can turn it off, Iovine added. It does sound a bit old fashioned, like the digital equivalent of people who work in record shops giving you recommendations. Surely we can make our own playlists, if not by searching categories then by what friends are listening to? And most streaming services already recommend songs based on your tastes. But Iovine pooh-poohs the notion of friend recommendations. "Who doesn't know what song comes next is your best friend on Facebook," he said. "When you put that record on, you don't want somebody guessing… somebody has gotta be interacting, building real music and serving it up for you." In other words, the record companies know best. 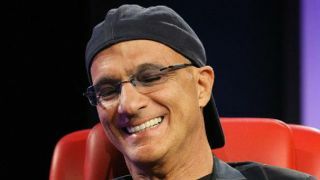 Iovine will certainly have a fight on his hands, taking on the likes of Spotify and its Facebook army. Beats bought streaming service MOG last summer, so we'll have to wait and see whether Iovine's old-school strategy pays off.